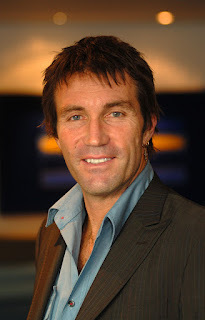 CNN Press Release - Former Wimbledon champion Pat Cash will host CNN’s newest feature program, ‘Open Court’ from April, it was revealed during the first show of the series today. The tennis great - and one of the most colorful players the game has seen - will front the show each month as well as taking viewers behind the scenes of major tournaments, finding out what makes the top players tick as well as unveiling the future stars of the sport. The launch episode features current world number two men’s player Novak Djokovic in his native Serbia. Djokovic talks candidly about what it is like to live out of a suitcase year-round, the importance of family and what it was like growing up in a war-torn country. In a revealing interview, Djokovic talks about how tennis became part of his life at a very young age and how his family made sacrifices so that he could play. ‘Open Court’ is a monthly magazine show, taking viewers beyond the baseline in search of the most compelling stories in the sport. The show goes behind-the-scenes with some of the biggest names in the global game, learning as much about life off the court as on it. In the coming months, ‘Open Court’ will complement these highly personal interviews with on the ground guides to major tournaments, and a quirky look at the latest developments in tennis technique and gadgets. Tennis fans can visit the tennis section of CNN.com at www.cnn.com/tennis for more tennis news, interviews, videos and blogs.